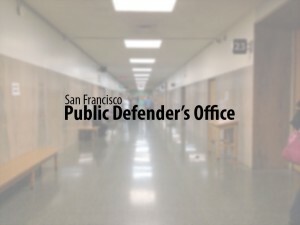 San Francisco, CA — A man who was attacked in his home by two men, one of them wielding dual broken bottles, was acquitted of murder charges on February 23, Public Defender Jeff Adachi announced. Phuc Le, 44, the son of a U.S. serviceman who came to this country through the Amerasian Homecoming Act was found not guilty after two days of jury deliberation on charges of murdering Tuan Nguyen, 36. He was represented by Deputy Public Defender Manohar Raju. Mr. Le was in his home in the wee hours of February 6th, 2010, when two intoxicated male acquaintances and one female acquaintance came to his home. A verbal altercation which arose when they demanded money turned physical when Long Vu, 32, threw a mala (Buddhist rosary) of prayer beads from Mr. Le’s late mother’s Buddhist shrine at Mr. Le. When Mr. Le asked his visitors to leave, they became increasingly angry and Mr. Vu began breaking Heineken bottles and brandished them as shanks against Mr. Le. Mr. Le retrieved a kitchen knife to defend himself and continually shouted for his visitors to leave. In the ensuing scuffle the non-bottle-breaker male, Mr. Nguyen, was stabbed in the heart. Testing by the Medical Examiner revealed that Mr. Nguyen had a blood alcohol level of .30. Mr. Le, speaking Vietnamese through an interpreter, withstood a full day of withering cross-examination as he explained how he only had the knife to scare his dangerous visitors away and only raised it to ward off the two as they came at him rather than leaving his apartment. The two non-injured visitors fled, while Mr. Le stayed on the scene, tried to revive Mr. Nguyen, and then called 911. The defense team also included investigator Andrew Koltuniak, paralegals Colleen Kojima and Joan Kruckewitt, and interns Kiran Shenoy and Ami Hong Nguyen, who is fluent in Vietnamese. In the two years that the case was in progress, Mr. Le was held in San Francisco County Jail. Mr. Adachi said that the case illustrates the practice of overcharging by prosecutors in criminal cases.